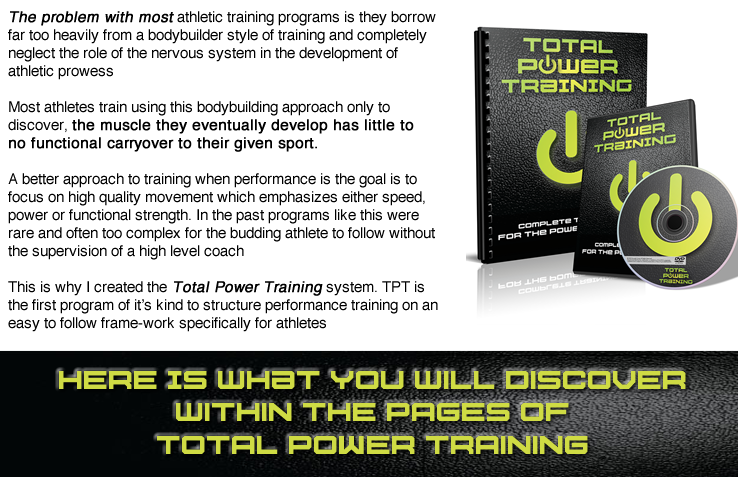 Q: What is Total Power Training and how was it developed? Q: Is this program only for people who play baseball, basketball or football? Q: My son is 13 is he old enough to follow your program? A: YES, studies have supported that weight lifting displays NO damage to the epiphyseal plates this is the myth that young kids have there growth stunted by lifting. I know plenty who have followed this from 11 and up… It’s more about form and safety. 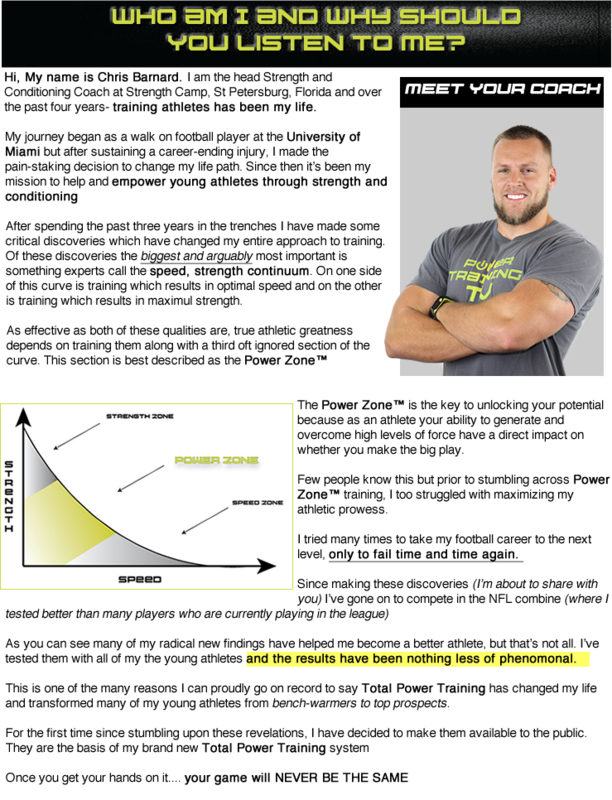 Q: What happens if TPT doesn’t work for me? 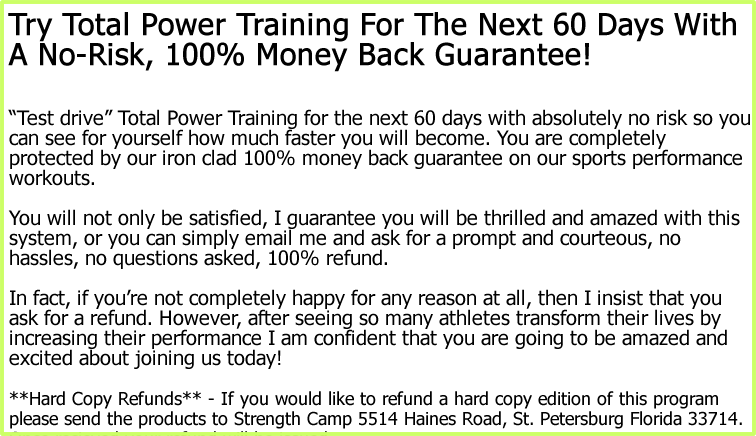 A: The entire TPT system is backed by my 60-day, 100% money back guarantee. 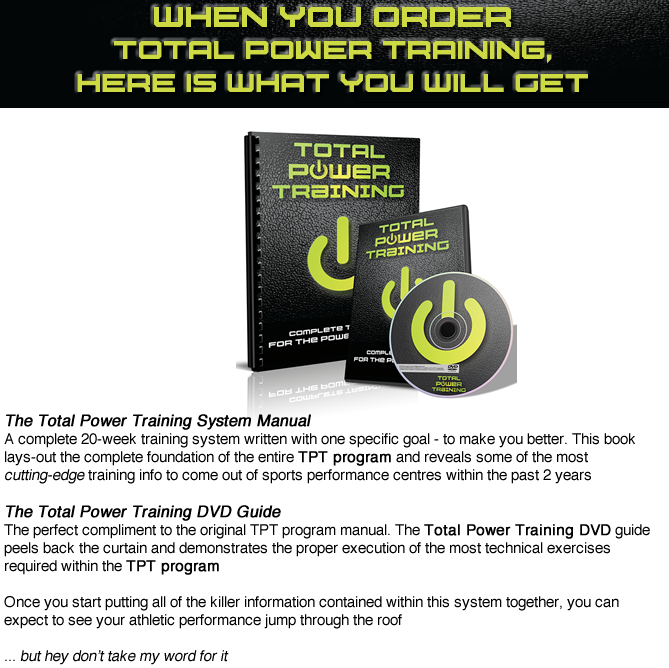 If for any reason whatsoever you find Total Power Training isn’t for you- simply send me an email and I will refund all of your investment. Q: What if I don’t have access to all of the equipment; what kind of equipment do I need? A: You DO NOT NEED special equipment to use this program… every exercise in the program has been chosen so it can be easily substituted out with a similar alternative. 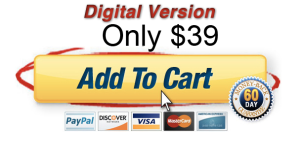 This way you can make sure you train hard and reach all of your goals even if you only have access to basic equipment. If you are still not sure and have more questions for me, please contact us at gridirondomination@gmail.com and we’ll get back to you ASAP!